Wood Farm Self-Catering Cottages01900 829533work Self-cateringA barn conversion situated in rural area close to Lorton Vale with easy access to Keswick and Cockermouth. Set within the National Park, this former farm provides a relaxing high quality base from which to explore the Lakes or the Cumbrian coast. The 2 cottages (Tithe Cottage and The Byre), sleep 6 each, and are set around a courtyard which includes the main farmhouse. There is also a picnic area which visitors can use to truly enjoy the tranquil setting of Wood Farm. 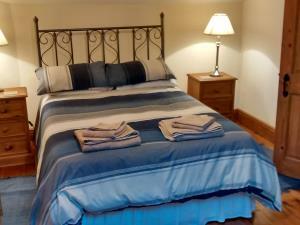 Wood Farm Self-Catering Cottages offers weekly bookings starting on Saturday and sometimes short breaks. Downstairs, entrance hall, large comfortable lounge, fully-equipped kitchen with dining area, shower with WC. Upstairs, main double bedroom with 2 twin bedrooms, bath with shower over and a WC. Outside is a courtyard with access to picnic area area. The Byre offers weekly bookings starting on Saturday and sometimes short breaks. Downstairs, entrance hall, large comfortable lounge, fully-equipped kitchen with dining area, shower with WC. Upstairs, main double bedroom with 2 twin bedrooms, bath with shower over and a WC. Outside is a courtyard with access to picnic area. Tithe Cottage offers weekly bookings starting on Saturday and sometimes short breaks. A barn conversion situated in rural area close to Lorton Vale with easy access to Keswick and Cockermouth. 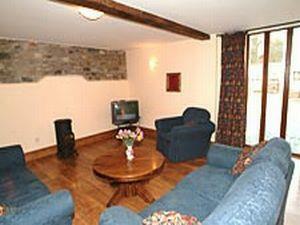 Each cottage is equipped to the highest standard providing all the usual home-from-home comforts. The cottages are owner managed. Arrival and departure times are after 15.00 and 10.00 respectively. Owners do request that visitors telephone or e-mail a couple of days prior to their visit indicating expected time of arrival. The Byre is our pet friendly cottage. 1 dog welcome at an additional cost in The Byre cottage only Children welcome from any age. From M6 jct 40 take A66 to Keswick, 17 miles, and continue on A66 to Cockermouth, 10 miles. At major roundabout (Premier Inn/Brewers Faye) take first left onto A5086 to Egremont. Take first left at Paddle School, signposted for Lorton. Then take first right signposted for Brandlingill and Mosser. Follow road for 1.2 miles. Wood Farm is on the right.